An illustration of the Spirit Cave Mummy. Genetic testing has ended a 20-year debate between a Native American tribe and the U.S. government over the origins of the world’s oldest natural mummy, which has now finally been laid to rest. The legal battle over the 10,600-year-old “Spirit Cave Mummy” was put to bed after a groundbreaking revelation revealed that the mummy is related to a modern Native American tribe, according to a study recently published in Science. DNA testing of the mummy’s skull definitively linked it to the Fallon Paiute-Shoshone Tribe of Nevada. The Spirit Cave Mummy’s story begins in 1940 when it was first discovered in a small rocky alcove in the Great Basin Desert in Nevada. 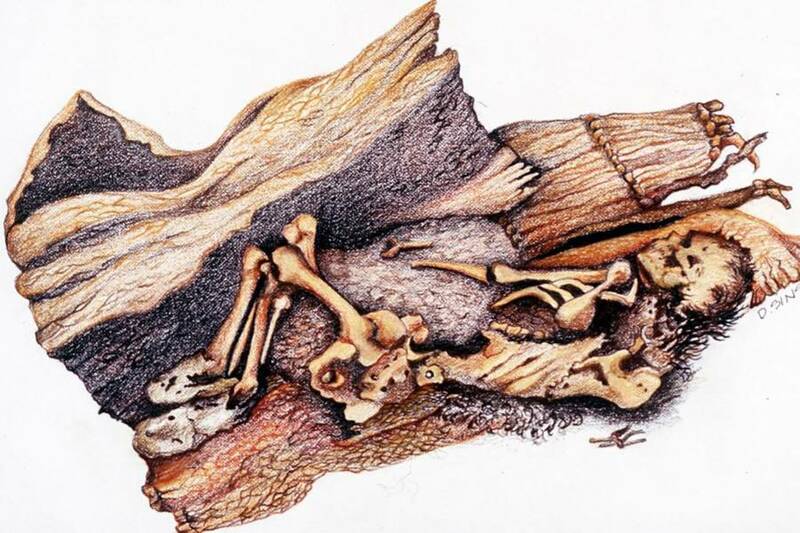 However, it wasn’t until 50 years later that new testing would reveal its actual age and earn it the title of the world’s oldest natural mummy (one embalmed only by natural forces). The Fallon Paiute-Shoshone tribe claimed cultural affiliation with the mummy and requested the repatriation of its remains under the Native American Graves Protection and Repatriation Act. However, according to HISTORY, the U.S. Bureau of Land Management rejected their request. The tribe sued the government and sparked the two-decade-long debate over what to do with the mummy. The tribe wanted a proper burial for an individual they believed to be one of their ancestors and anthropologists believed that the remains provided invaluable historical insights and should be placed on display in a museum. The two sides remained in a stalemate until 2015 when the tribe agreed to let Professor Eske Willeslev, the study’s lead author, conduct genomic testing on the mummy. “I assured the tribe that my group would not do the DNA testing unless they gave permission and it was agreed that if Spirit Cave was genetically a Native American the mummy would be repatriated to the tribe,” Willeslev said in the statement. Professor Eske Willeslev with Donna and Joey, two members of the Fallon Paiute-Shoshone tribe. Using DNA extracted from the mummy’s skull, Willeslev was able to determine that the Spirit Cave Mummy was indeed a member of the Fallon Paiute-Shoshone Tribe and an ancestor of present-day Native Americans. The remains were returned to the tribe in 2016 and in 2018, a proper burial was held for the mummy. “We can all imagine what it would be like if our father or mother was put in an exhibition and they had that same feeling for Spirit Cave. It has been a privilege to work with them,” he added. In addition to ending this 20-year battle, this study also dismisses a longstanding theory called the Paleoamerican hypothesis which claimed that a group called Paleoamericans roamed North America before the Native Americans. Skulls and other human remains belonging to the group of people found at Lagoa Santa in Brazil. 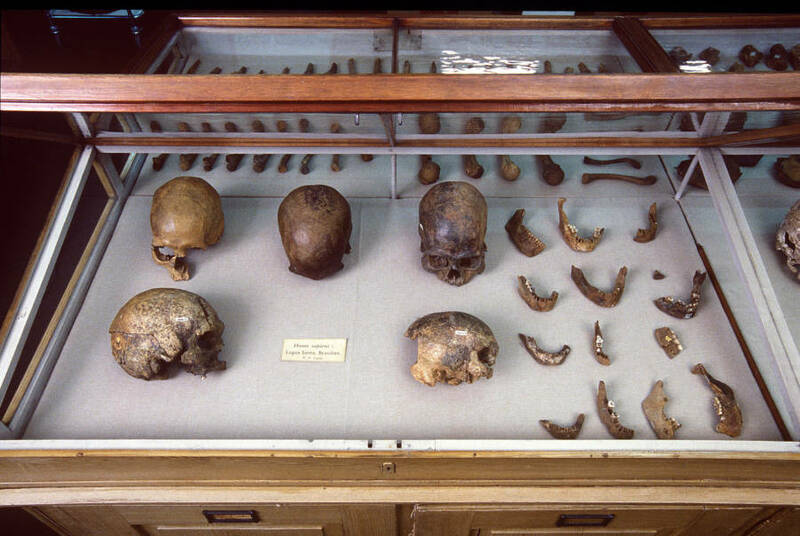 As a part of the study, the researchers sequenced the genomes of other controversial ancient remains from North and South America. They examined the 10,400-year-old remains found at Lagoa Santa in Brazil and found that they were Native Americans as well and not Paleoamericans. Previous studies on their cranial morphology theorized that they couldn’t be Native Americans because their skulls were different shapes. Their studies of the Spirit Cave Mummy and the Lagoa Santa skeletons have revealed groundbreaking new information on how ancient humans moved and settled across North and South America as well. 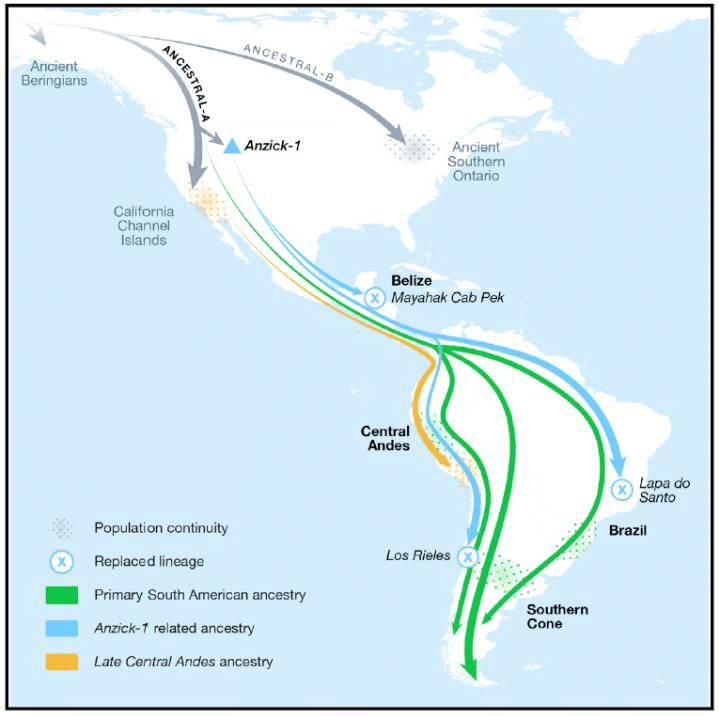 A map showing the possible early migration routes into North and South America as posited by the Cell study. This study comes as a part of a recent trio of studies that are changing the history of early humans in North and South America. A related study published in Cell also examines the movement of the first humans in the Americas and how they spread across the continents. The researchers used genetic tests to discover two previously unknown migrations from North to South America. The third study, which was published in Science Advances, reveals the evolutionary path that one group of migrants went down after they decided to call the high-altitude Andres mountains their home. Looking at a window of 7,000 years ago to when Europeans first made contact, the team was able to identify any physical adaptation the people went through before the Europeans arrived roughly 500 years ago. The recent influx of information regarding the Americas’ earliest human inhabitants is causing archaeologists and anthropologists to rethink what they know about American history, and it’s become clear that even more groundbreaking information has yet to be revealed.